William Stewart. 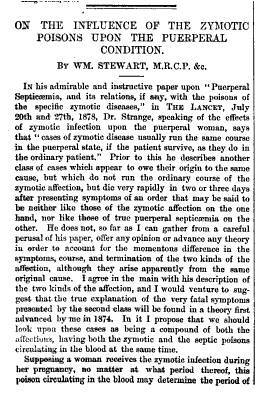 On the Influence of the Zymotic Poisons Upon the Puerperal Condition. 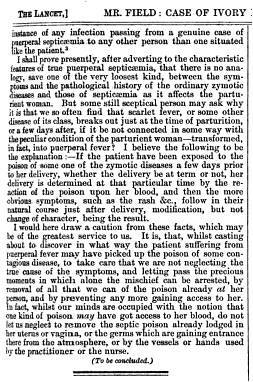 Sept. 21, 1878. 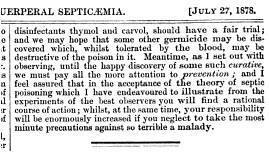 The Lancet, pages 400-401. William Strange. 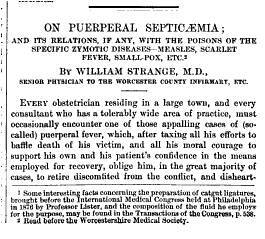 On Puerpural Septicemia; and its relations, if any, with the poisons of the specific zymotic diseases–Measles, Scarlet Fever, Small Pox, Etc., The Lancet. pp. 79-81, 114-116.